Evidence shows children educated in alternative provision are less likely to achieve good GCSE grades and are less likely to be in education, employment or training post-16. The projects announced today aim to tackle these injustices by supporting children back into mainstream education when it is suitable, encouraging parents and carers to be more involved in their child’s education, helping young people make good academic progress, and moving on to further education or employment. From September the projects are set to improve outcomes through literacy and maths tutoring, summer holiday activities to support transition to further education, and the introduction of robots to enable children in hospital to participate virtually in lessons. Other schemes include parent and carer coaching to improve involvement in education and mental health support, helping young people to build positive relationships. School Standards Minister Nick Gibb said: “Every child, no matter the challenges they face in their life, should have the opportunity to fulfil their potential through an excellent education. 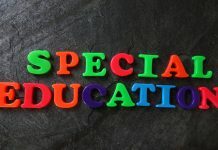 Dame Christine Lenehan, Director of the Council for Disabled Children, said: “The Council for Disabled Children believes that every child, whatever additional needs they have, should be able to access a good education which supports them to get the best outcomes in adult life. The nine projects, spanning the East Midlands, West Midlands, London, East of England, Yorkshire and Humber, South West, and the South East will be funded by the £4 million Alternative Provision Innovation Fund which launched in March 2018. Three projects to help get children back into school, led by Bradford Central Pupil Referral Unit, Francis Barber Pupil Referral Unit in London, and Hospital and Outreach Education in the East Midlands. Three projects to help young people into further education or employment, led by Cognus in Sutton, Futures Advice, Skills and Employment in Nottingham, and Salford City Council. Three projects to support parents and carers to be more involved in their child’s education, led by the Anna Freud National Centre for Children and Families in London, The Tutor Trust and Talk Listen Change in Greater Manchester, and Portsmouth Education Partnerships. Sir Kevan Collins, Chief Executive of the Education Endowment Foundation, said: “On far too many measures – whether around education, health or employment – outcomes for these young people are poor.